President Michael D Higgins has said he does not believe gambling platforms should be advertised through sporting events. In an interview with RTÉ Radio One's Sunday Sport ahead of the hurling All Ireland semi-final between Cork and Limerick, President Higgins said he would like to see the advertising of gambling platforms done away with in sport. "I'm very concerned about gambling for example, which if I had my way, I wouldn't have advertising of any access to gambling platforms in sport at all. I really worry when I read cases of people who have come through [gambling problems]," he said. "I visited the Hope House in Mayo recently who have been a great assistance to some people who have got over what is, hopefully, a terrible temporary problem. "I think in a way we should protect our sports of keeping them free from this kind of stuff." The often-secret addiction has grown in sport in recent years - and a number of high profile sports people have talked about their stories of addiction. Adding further on his point, he said that education at an early age can help, but it will not totally solve the growing problem. "I just think [sport] should be protected from it. There is no one being heavy about it. What you can do is through education obviously, through the school systems. "As well as that, we do need, and it's not for me as President [to do something] as I'm no influence except to say what I think, is that the integrity of sport means having care for everyone who participates. "Having care for everyone who participates means not exposing them when in fact they are vulnerable. How you deal with vulnerabilities is by preparing them of course. "But you can't do everything through education. For too long in Ireland we often ignore problems that are staring us in the face," added Higgins. The president, who has recently announced plans to run for a second term, paid tribute to the role of support in communities and had high praise for the Clare and Galway teams after Saturday's nail-biting clash. 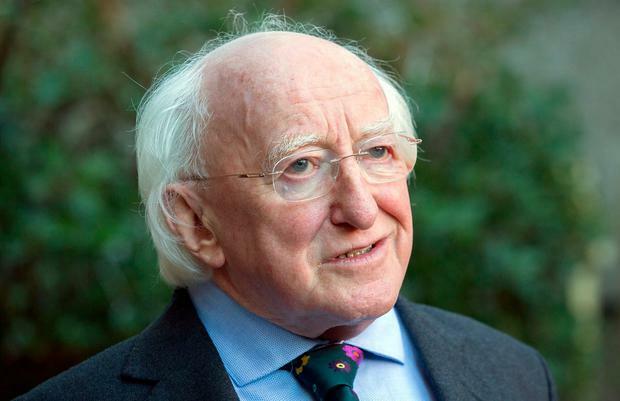 A spokesperson for Mr Higgins said he had “nothing to add” to the radio interview when asked whether the President has strayed into the political field with his comments.